Below you see an overview of the students currently representing DOPE at the Faculty of Arts and Social Sciences. This Academic year, I represent my fellow FASoS students in the Faculty Council as the only MSRP DOPE representative. This year, I have worked hard on the Quality Agreements, which is an agreement on the allocation of monetary funds in order to improve the education at my faculty. Furthermore, the Faculty Council is currently working on a new revised European Studies curriculum and the development of the new bachelors program Digital Society. Besides my contribution in the faculty Council, I am also organizing the FASoS Career Event together with other students at the faculty, were we invite alumni of the FASoS with different area of expertise so students can have a better understanding of their future career opportunities. The students are given the opportunity take part in workshops, participate in a panel discussion and attend the career fair. I can personally recommend anybody to join DOPE if you are interested in running for Faculty Council as it provides a wide network of students and a great helping hand in order to win the elections! 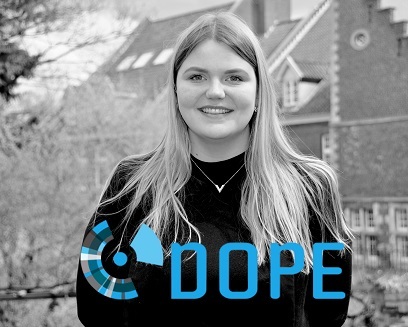 MSRP DOPE is a student representation party active at Maastricht University. Copyrights © 2018. All rights reserved. Powered by Andelwebsolutions.